cute, cute and super cute! I'm all for big fluffy cats! It doesn't mater if she's black and my furniture white. I just love them! 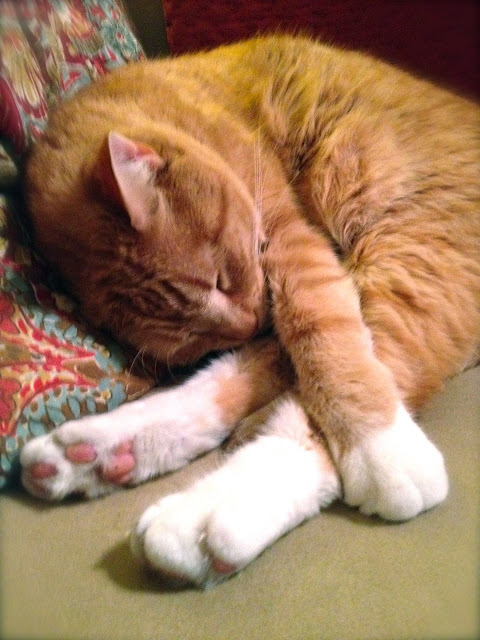 I love it when kitties sleep with their feet all bendy by their heads. For some reason it always makes me smile. The picture of Sherbet reminds me of when my cat would wake me up. She would sit on my chest pat my face and then stare at me. lol it always made me jump when I woke up. awwww.... they are so cute! 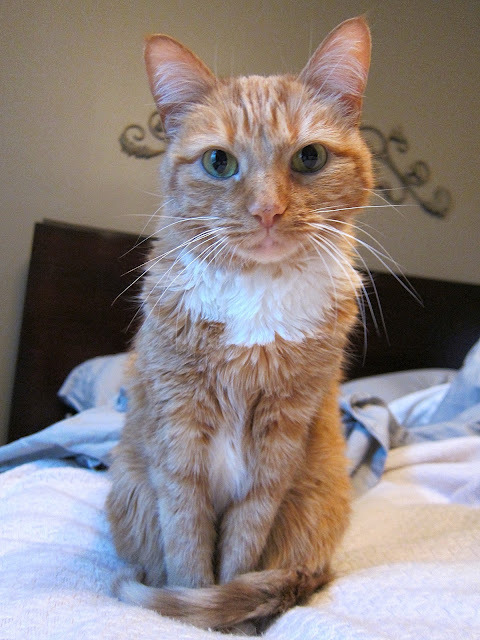 I love Sherbert's classic cat post--sitting up straight, front paws together, and then the tail wrapped around. I totally stalk your blog just to see Sherbert. He is the cutest kitty EVER.